1. - My aunt first took me on a backpacking adventure through Europe when I was 15, and I have been an avid shoestring backpacker, traveler, explorer ever since. 2. - I got my B.A. in History and English and then my M.A. in English at Cal Poly, San Luis Obispo, also where I met my beautiful wife! 3. - I take part in Civil War reenactments (for the North) where I get to relive history in front of spectators, and also it’s fun to shoot off lots of black powder on a hot summer’s day. 5. - I’m an avid sailor and crew on schooners and sloops on San Francisco Bay with my dad and other fellow “salts” whenever I get a chance. Now I’d like to pass on this great award to some of my most favorite blogs below. I think they all rock and I’m sure you will think so too. Check them out! Congrats on the award, Mark! Thanks for thinking of me. Thanks, Mark! I appreciate it. I bet the Civil War reenactments are fun. Congrats on the award! I don't think I could ever sail. It would be fun to go, but I doubt I could do it. Seems hard! Backpacking through Europe? That sounds like a lot of fun! Home grown fruits and vegetables are the best. I love watching sunflowers grow. They are amazing. Oh, a backpacking trip through Europe, I'm jealous. I'll bet it was wonderful. Congratulations on the award, and to all the people you passed it on to. Say, what is going on with The Long Defeat anyway? Haven't heard anything about it for a while. You certainly sound very outdoorsy, Mark. Your aunt sounds cool. I had my backpacking adventure at 21 and it'd be nice to get a chance to do it again sometime. Thanks for passing me the award. Have a lovely weekend. It's great to find out interesting things about fellow writers. My husband is a big backpacker--just not through Europe. Awww, thanks Mark! everyone here at "Civil War Medicine (and Writing)" thanks you! Well, ok, that's just me, but I do thank you! I love your blog for your posts but also for all the great comments and regular visitors! Thanks so much for leaving comments on mine the past couple of posts...I added a comment in answer to your question on finding period/vintage correspondence which I hope you fond helpful. You are one of my favorites! David – No prob. Not sure how far away you live, but I’m always willing to share my produce. Alex – You’re welcome:) The reenactments are fun indeed. Mac – Great to meet you! Lynda – Glad you like them. McKenize – I’ve backpacked through Europe 7 times so far and can’t get enough. As far as _The Long Defeat_ goes I’ve still got it out with three agents, but they’re still taking their time with it…blah, I hate all the waiting. 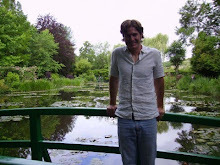 Nick – I do like nature and exploring:) Been to London a few times and love it there! Susan – I’m down for trying out some more reading, so bring it on:) I’ll give you a ping. Civil War reenactments... Wow. Great writing fodder. I, too, write short stories. However, I can only do this in my free time. I've become your latest follower. 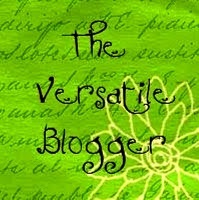 Hope to see you in the blogosphere. I love learning things like this about others. It's so interesting to me. I've been to civil war reenactments. Very fun to see. Seven times? Oh, how lovely. What countries? Nothing yet? Well, as far as problems go, waiting to hear back from three interested agents isn't so bad, right? Claudia - Hello Montreal from San Francisco, nice to meet ya! 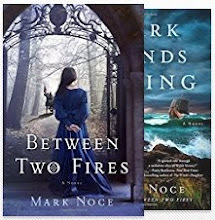 Maps in a Novel: An Improvement or a Curse? Great Advice from Fellow Writers…Write More!